NAPOLEON Perdis has opened up about the downfall of his empire and the toll it has taken on him and his family, as administrators fight to save the brand. In an interview with The Morning Show, the makeup entrepreneur said it was "hard to sleep" amid the turmoil. "My customer wants to see me strong and fighting," Perdis said, speaking on Seven. "I want this brand to be around for the next hundred years. "It's hard to not have my children around me. I'm not going to pull them out of school for this." After a string of criticism, Perdis today revealed administrators would honour outstanding gift vouchers in the wake of the brand closing 28 of its 60 stores nationally. "I haven't stopped lobbying and last night, it was signed off. 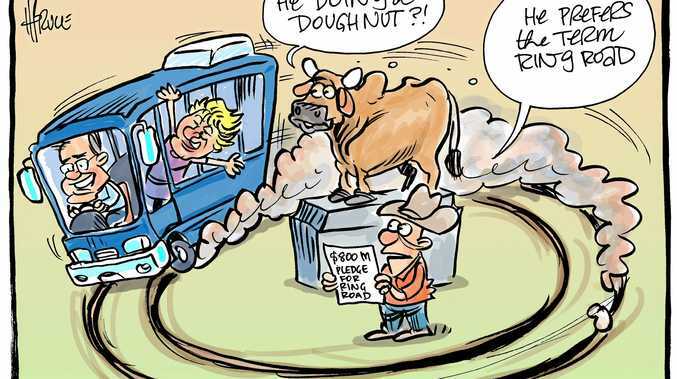 And as of today, all the gift vouchers … are going to be honoured," Perdis said in Sydney. Perdis said sales were up over the past few days as Australian shoppers help his fight to save the cult brand, known for "hero" products including concealer and primer. Perdis said it was his "absolute" goal to still be trading in the next three years and offered advice to young business owners. "Take the risks. Make mistakes. I'm absolutely going to trade out of this," he said. 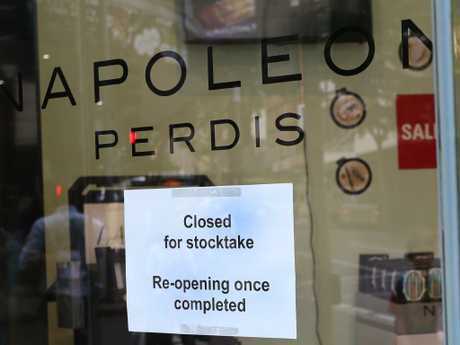 Perdis denied his eponymous brand was on the verge of a complete collapse. "The brand appointed independent administrators to sort out its financial issues," Perdis clarified. "Is it hard to see your 'baby' being run by someone else? Yeah, but also quite liberating. "It's not like I haven't made mistakes along the way." 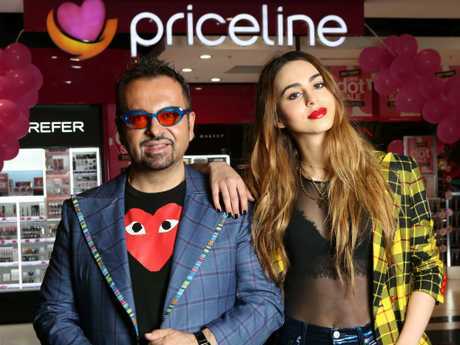 He said beauty retailer Priceline - which stocks Napoleon Perdis products nationally - was taking on employees who had lost their jobs due to store closures. Perdis again blamed the rising cost of running a business and increased financial pressures faced by consumers for the downfall. "I made some mistakes but that's not what brought us here today. Expenses were higher than income," he told The Morning Show. Perdis also defended his lavish lifestyle, which included sprawling mansions and designer outfits. "I work 'til 3am. I'm up answering calls and emails from 7.30am," he said. "Was I going to turn up to major celebrities … looking like some sort of hobo? No. I'm proud. "Haters are just saying it because they can say it behind closed doors on some sort of device." Last week, the troubled company had appointed Simon Cathro, Chris Cook and Ivan Glavas of Worrells Solvency Accountants as administrators after a year of discussions. In a statement, Worrells announced "the beginning of the restructuring phase of the administration" after assessing the "past performance, the right sizing of the business as a whole and the location" of each store. As a result, 28 stores across NSW, Victoria, Queensland, the ACT, South Australia and Western Australia were shut. Cathro said there had been "strong sales results" over the weekend, and that the decision to shut down half the company's stores had not been "taken lightly". "The administrators have undertaken an assessment of each store over the weekend, factoring in past performance, the right sizing of the business as a whole and the location," he said. Of the store closures, Perdis said last week: "(The) closures are a necessary and anticipated step in the restructuring process". "And while it feels like a sad time, this is not goodbye, and it gives us the best opportunity to keep the business trading through the administration process. "We'll be back in a new, more dynamic and innovative way."